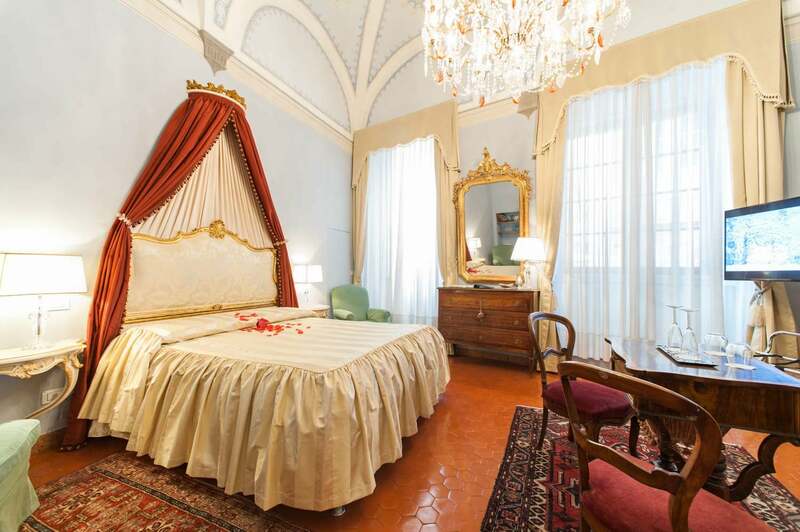 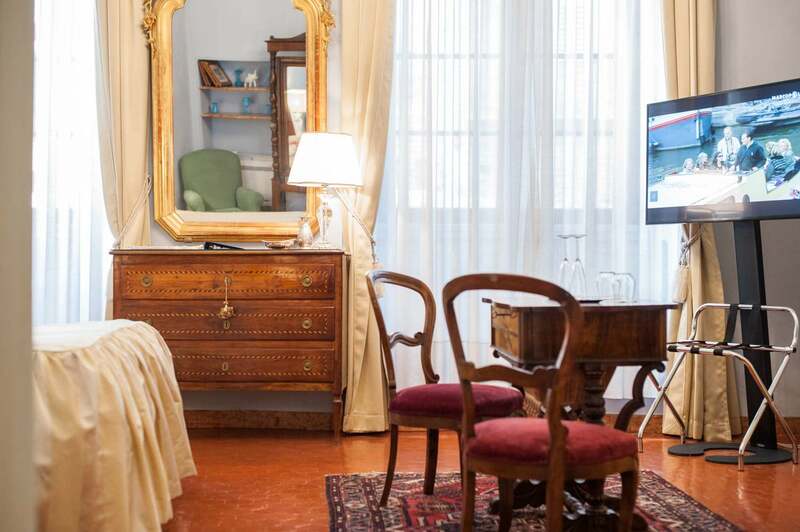 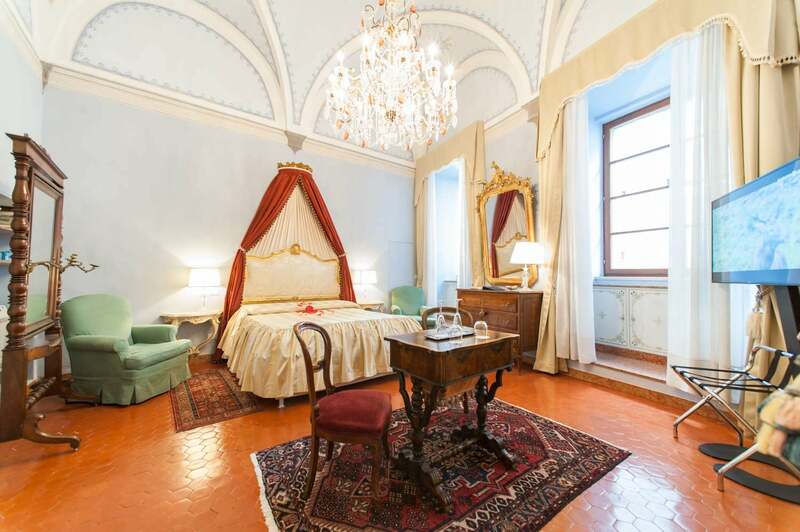 Unique to this type of lodging, the historic Palazzo Borghesi has only four rooms, each different from the other, but all providing the warmth of a true and hospitable historic home and featuring five meter vaulted ceilings decorated with original frescoes of the 1800s, fine fabrics, golden frames, and antique furniture. 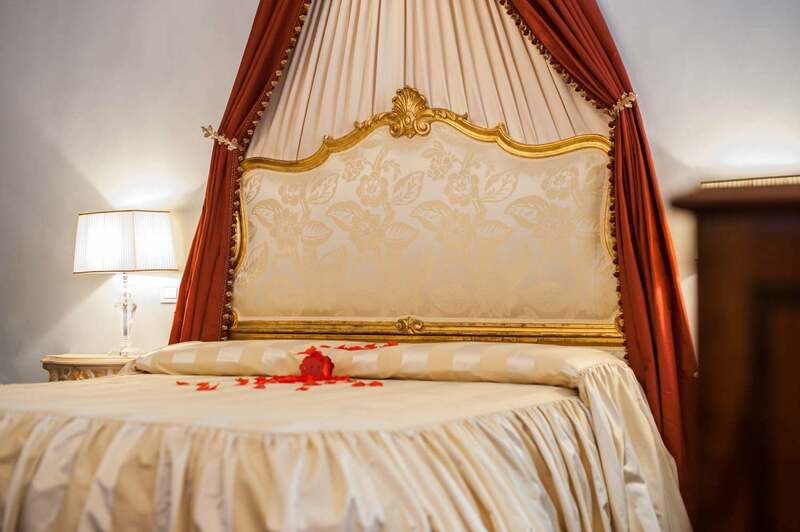 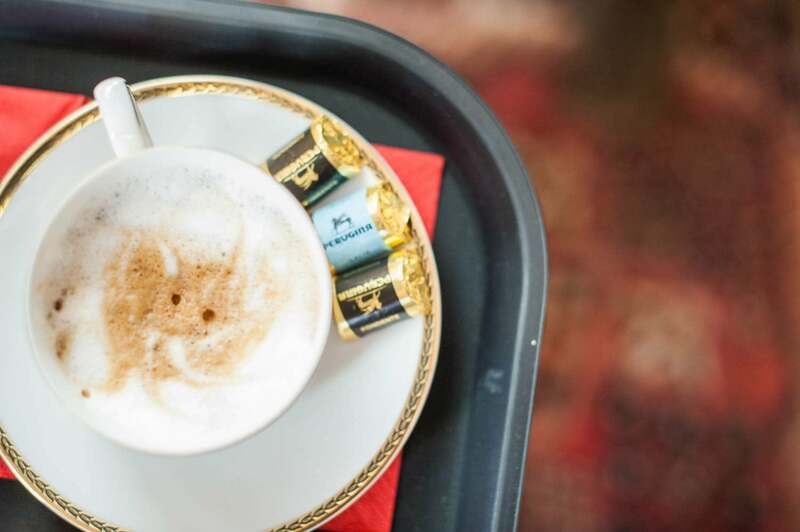 The comfortable embrace of memory (or traditional) mattresses and pillows and the sound-proofed windows guarantee a restorative sleep for even the most exacting of guests. 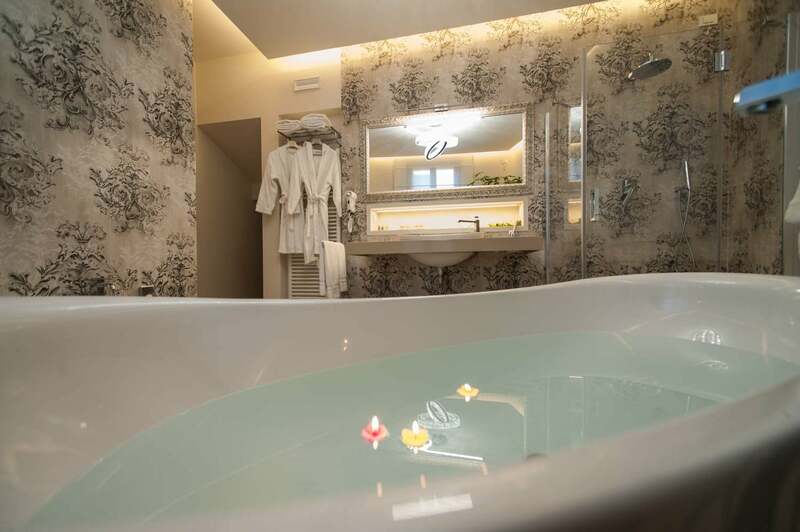 Exclusive to our guests, in each room there is an illuminated display case with two stemmed wine glasses and a bottle of the renowned Brunello of Montalcino (2011). 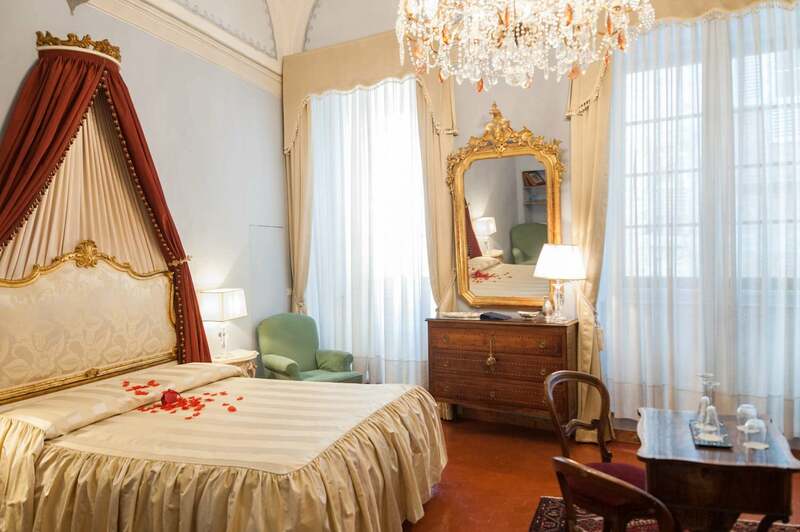 Looking onto the historic Via di Città, with tall windows that stretch towards the ceiling decorated in tones of blue, this junior suite wraps you in a welcoming romantic embrace. 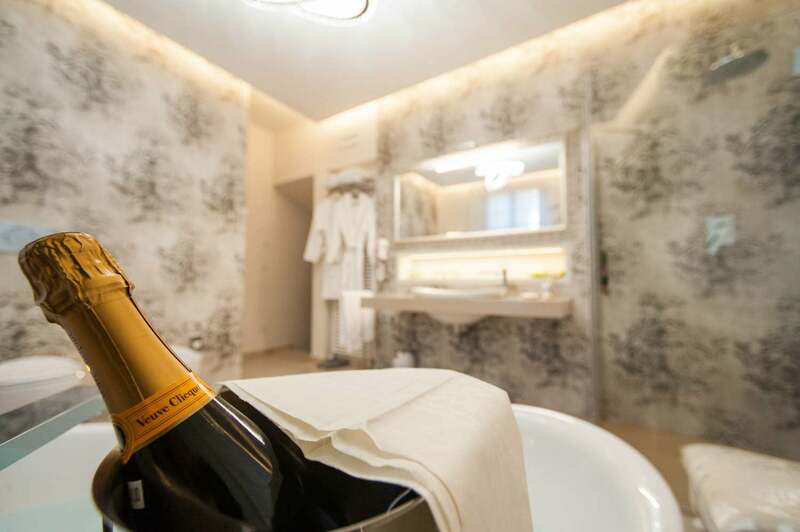 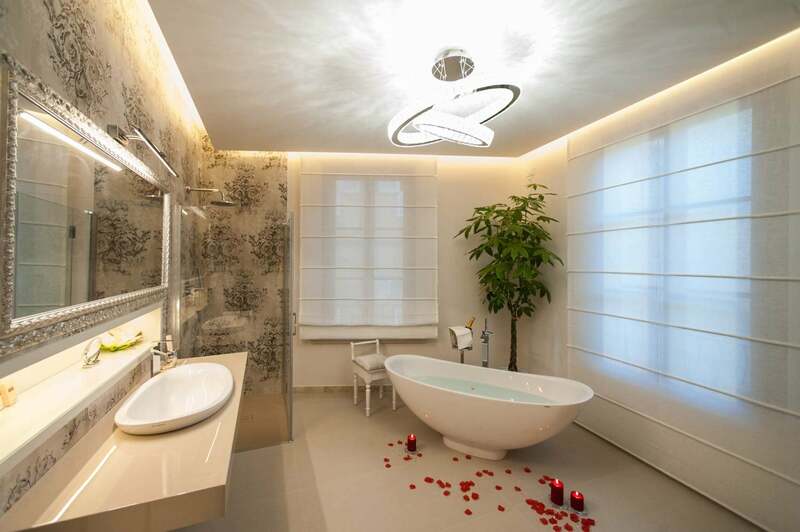 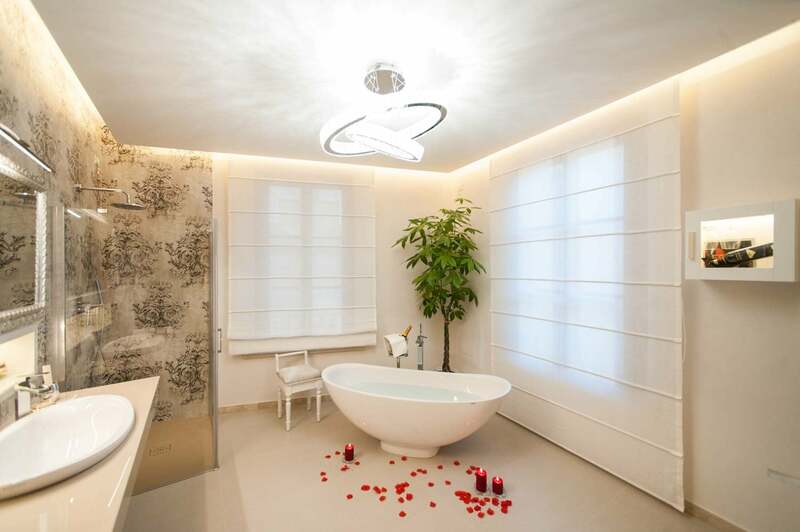 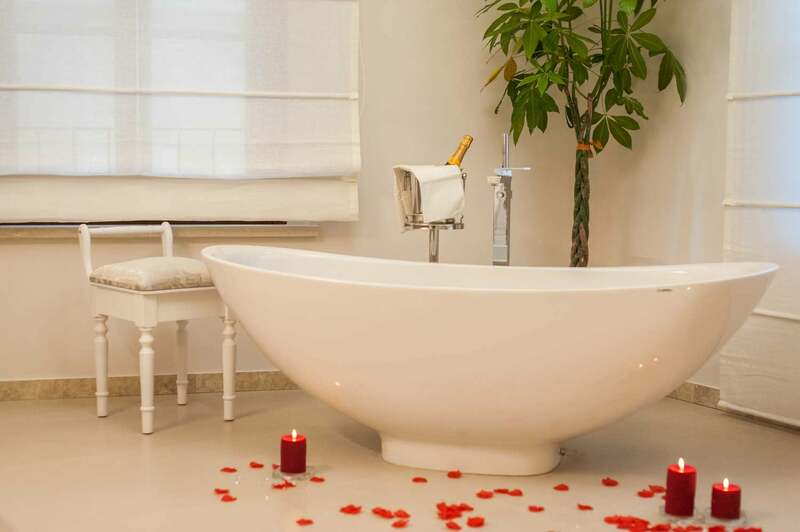 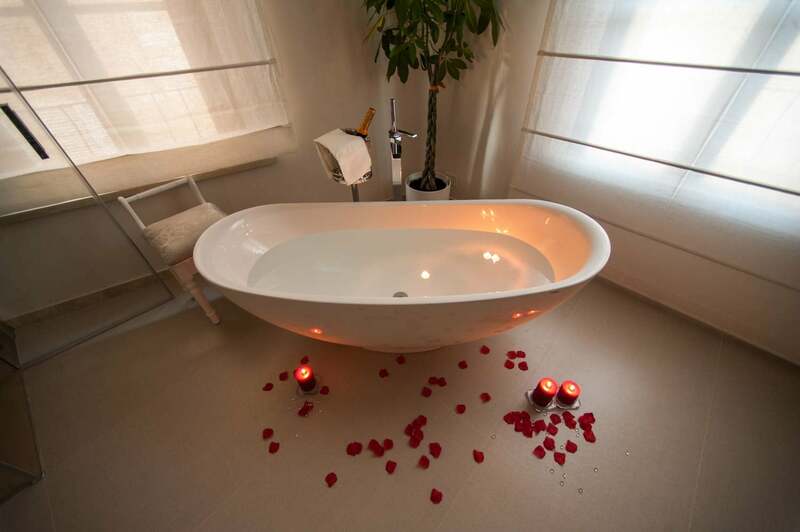 In the bright bathroom, an Italian design bathtub stands among rose petals, candles and a champagne bucket at the ready. 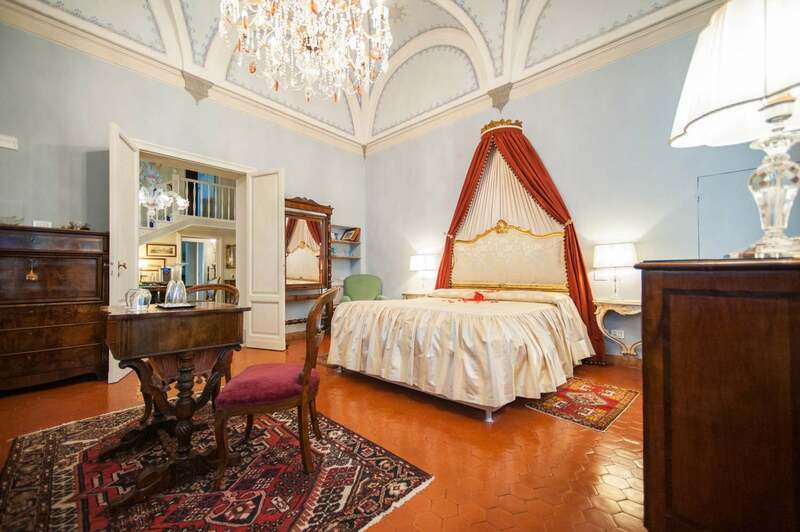 Prenota subito in questa romantica ed esclusiva Residenza d’Epoca! 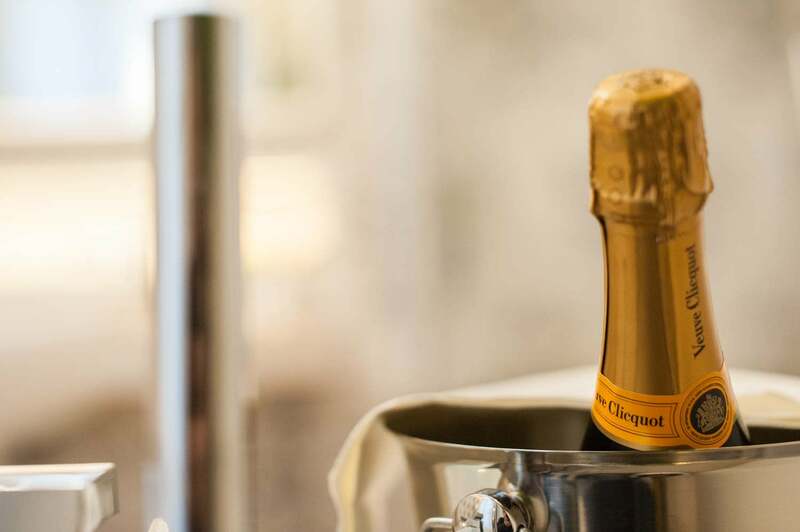 In omaggio un drink di benvenuto al tuo arrivo!